The ABBA Story is a wonderful retelling of the rise of four young Swedes from relative obscurity in their homeland to the very top of the music world. 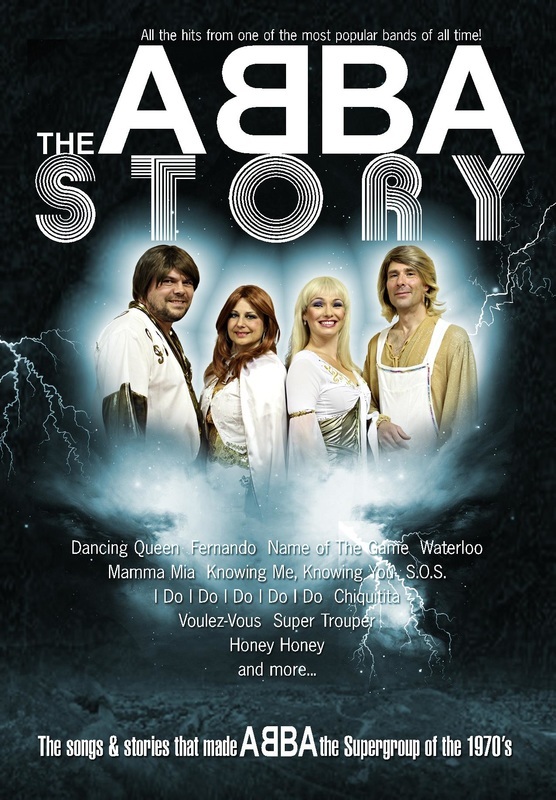 A narrator tells the story in between note-perfect renditions of all of your favorite ABBA hit songs. Hear how these two young couples came out of nowhere to win the prestigious Eurovision Song Contest with "Waterloo" . Hit and hit followed until their eventual breakup in the early 1980s. Audience members always feel the thrill as the band appears in the identical costumes worn by the original ABBA. Hear all the hits from one of the most popular recording groups of all time!